— Soviet cosmonaut Leonid Kizim, who in 1986 commanded the only mission in history to visit two space stations in one flight — which also marked the first crewed flight to Mir — died Monday, June 14, according to Russia's federal space agency Roscosmos. He was 68. On March 13, 1986, Kizim, a veteran of two earlier space flights, launched with crewmate Vladimir Solovyov aboard Soyuz T-15 from the Baikonur Cosmodrome and after two days catching up with the fledging station in orbit, docked with the then-one-module Mir outpost. As the inaugural crew to Mir, the first continuously crewed station, Kizim and Solovyov spent 51 days configuring the core module and unloading two unmanned Progress cargo vehicles that arrived during their stay. It was the second mission together for the two cosmonauts, who earlier flew together on the Soyuz T-10 mission. Due to a shortage of Soyuz spacecraft and because both space stations were in almost the same orbit, Kizim and Solovyov departed Mir on May 5, but rather than returning home to Earth as every other station crew had and would do, they maneuvered their Soyuz T-15 spacecraft on a 28 hour rendezvous and docking with Salyut 7, the last of the Soviet Union's "second generation" stations. Spending another 50 days onboard Salyut as that station's sixth resident crew, the two cosmonauts performed a pair of spacewalks, retrieving experiments that were left by the previous crew members and testing the deployment and retraction of a 50-foot "girder constructor" device. Kizim and Solovyov worked to repair Salyut 7's heat, power and environmental control systems and then on June 26, flew Soyuz T-15 back to Mir. Transferring nearly 900 pounds of hardware from the old to new outpost, they spent their final 20 days in orbit making Earth observations. On July 3, 1986, 13 days before landing Soyuz T-15 back on Earth, Kizim established a career record for the most time in space. Three days later, he became the first to log a full year in space. Kizim's duration records were a combination of his time on Soyuz T-15 and his prior two missions. On Soyuz T-3 launched in November 1980, Kizim together with Oleg Makarov and Gennady Strekalov flew a 13-day maintenance flight to Salyut 6. The station's 13th resident crew, the trio were the Soviet Union's first three-man crew since the ill-fated Soyuz 11 in 1971. By comparison, Kizim's Soyuz T-10 flight four years later was a much longer mission: he, Solovyov and Oleg Atkov set the then-record for the world's longest spaceflight. 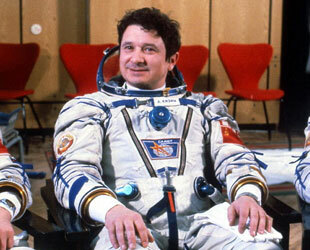 Their 237 days in space began with their launch on Feb. 8, 1984, followed a day later by docking with Salyut 7. As the station's third expedition crew, the three cosmonauts performed material science experiments, conducted Earth and astronomical observations and participated in medical studies, the latter overseen by Atkov, a cardiologist. Kizim and Solovyov performed a record six spacewalks to repair a fuel line that ruptured the previous year and install a new set of solar arrays for the station. 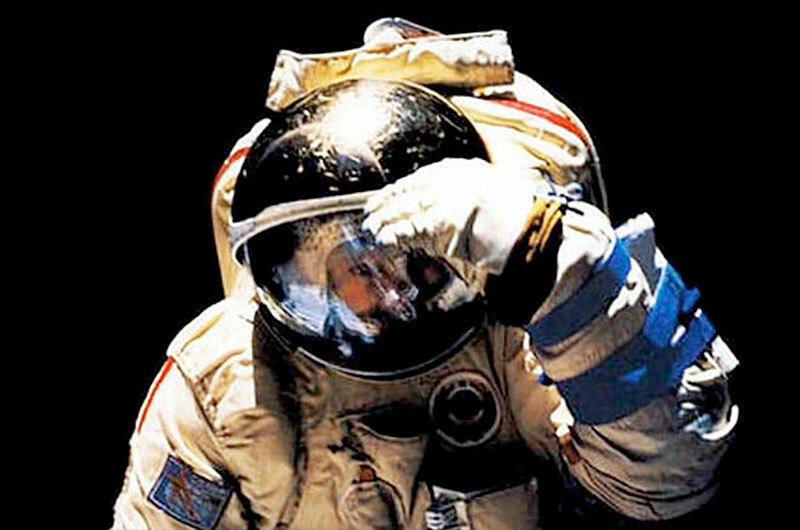 Including his two spacewalks outside Mir, Kizim logged a career total of 31 hours and 38 minutes working outside in the vacuum of space, ranking him 37th among the world's spacewalkers by time accumulated. At the time of his passing, his total time in space of 374 days, 17 hours and 56 minutes placed him 21st on the list of astronauts' and cosmonauts' career durations. Chosen to join the cosmonaut corps in October 1965 with the third group recruited from the Soviet Air Force, Kizim retired from the space program two decades later in June 1987. Born on Aug. 5, 1941, in Krasnyi Lyman in the Ukraine, Leonid Denisovich Kizim graduated as a pilot in 1963 from the Chernigov Lenin Komsomol Higher Air Force and flew as a test pilot and parachutist before being selected as a cosmonaut. In addition to his three spaceflights, Kizim served on the support crews for the joint missions of Soyuz 6, 7 and 8 in 1969. He was back-up commander for Soyuz T-2, the first crewed flight of the T-class vehicle, and the Soviet-French T-6 mission as well. After leaving the space program, he served the Russian Ministry of Defense's satellite control center as its deputy director until 1995 when he became director of the Military Engineering Academy of Aeronautics and Astronautics in St. Petersburg, a position he held until he retired in 2001. 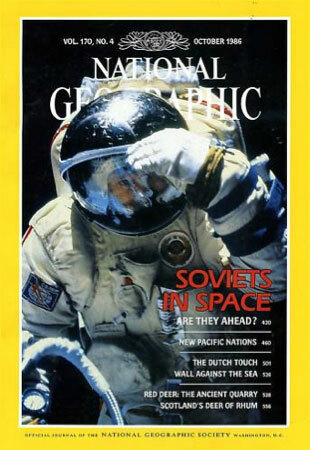 In October 1986, two months after his third and final return from space, Kizim was featured on the cover of National Geographic. Illustrating an article titled "Soviets in Space: Are They Ahead?" 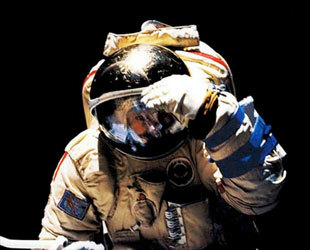 the magazine's trademark yellow frame surrounded a photo taken of a spacewalking Kizim outside the Salyut 7 station. A twice Hero of the Soviet Union, Colonel General Kizim is survived by his wife Galina and their two children.